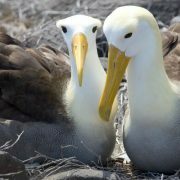 You are here: Insider’s Galapagos Blog / Can I Organize My Own Galapagos Trip? 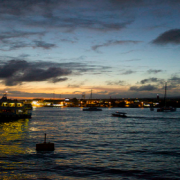 There are many reasons why you may want to organize your own trip to the Galapagos Islands. You may not have found your perfect trip after scouring the internet for options. You may plan to spend longer than the usual week in the islands and want to do something extra like a dive course. Or you may have lots of time on your hands and enjoy the challenge of planning logistics in far away places. Whatever your reasons for organizing your own trip, the answer is: yes, it can be done! Independent flights can be researched and booked online ahead of time, as can hotels and day tours. Firstly, fly from Quito or Guayaquil on Ecuador’s mainland to either Baltra or San Cristobal Islands. Then, take a public boat to one or all of the three populated islands: Santa Cruz, San Cristobal and Isabela (all islands have plenty of hotels, restaurants and tour agencies). If you wish to avoid the long and often rough boat crossings between the islands, there is also the option to take a speedy inter-island flight. Find out more about travel to and within the islands. Explore the Galapagos by booking day trips. Day trips include tours to one or more sites on the island you are on (without the need to travel to another island), or a boat trip to one or more sites on a different island. Find out more about day trips here. Make sure you do plenty of research beforehand and be aware that travel may not be as quick or easy as you might anticipate – allow time to get around. Ask plenty of questions before you go! 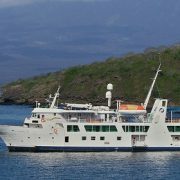 Remember that independent travel around the islands does mean that you won’t see as much as you would if you were on a cruise, as many sites in the Galapagos National Park are accessible by cruise vessel only. 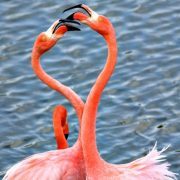 But you’ll still get to see plenty of wildlife (particularly if you take day trips) and experience day-to-day Galapagos life. Though independent travel is generally more budget-friendly than a cruise or organized tour, travel costs do add up quickly: public boats between the islands cost around $40 one way, inter-island flights around $160-180 (also one way), hotels start at around $40 per person, full-day trips are around $100-150, and food is more expensive than on the mainland. The luxury of going independently though is being able to take your time – stay for up to 30 days if you wish! http://www.galapagostravelplanner.com/wp-content/uploads/2014/05/independent-cropped.jpg 330 740 Admin http://www.galapagostravelplanner.com/wp-content/uploads/2015/03/logo15-300x104.png Admin2014-05-28 18:13:092015-09-21 12:11:49Can I Organize My Own Galapagos Trip? 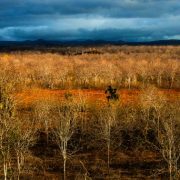 What is the best way to visit the Galapagos islands? 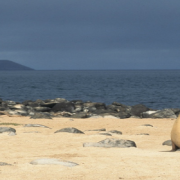 What’s the best time of year to go to the Galapagos Islands?